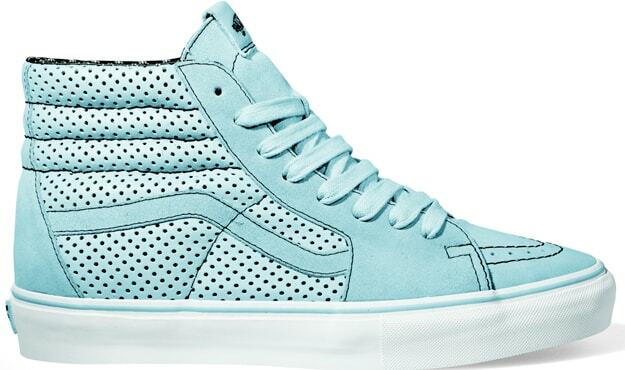 Now that the KISS Sk8-His have hit stores, Vans softens it up with this baby blue/black Sk8-Hi off of its vault line. Not only is the colorway summer-friendly, but the semi-perforated upper will make it easier for your feet to breathe when it&apos;s hot as hell out. Check for these in Vault retailers now.